A couple of months ago-April to be exact, MAC came out with their Fashion Sets collection which was comprised of color coordinating bold and bright lipsticks, lip pencils, lipglasses, eyeshadows, and nail polishes. The products looked lovely overall, but for me, the lipsticks were the stars of the collection. 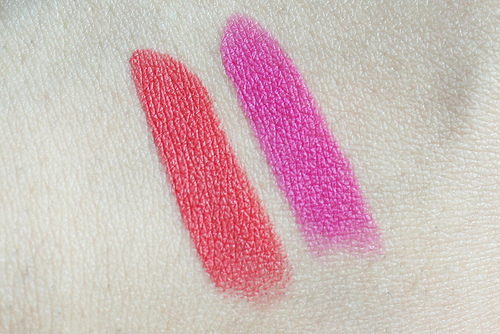 There were four lipsticks in the collection and today, I am going to be sharing with you all the two that won me over-Ablaze and Embrace Me ($15.00, each). My sincerest apologies for not getting this post up sooner-these items aren't available anymore. But better late than never, right? 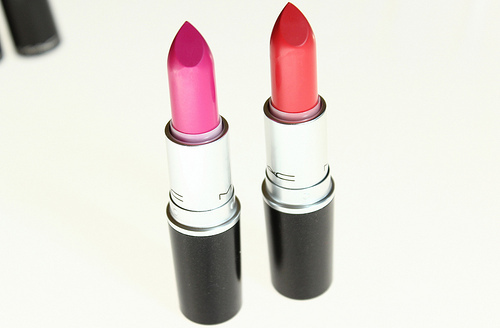 Ablaze is a bright coral matte, and Embrace Me is a showstopping bright fuchsia. 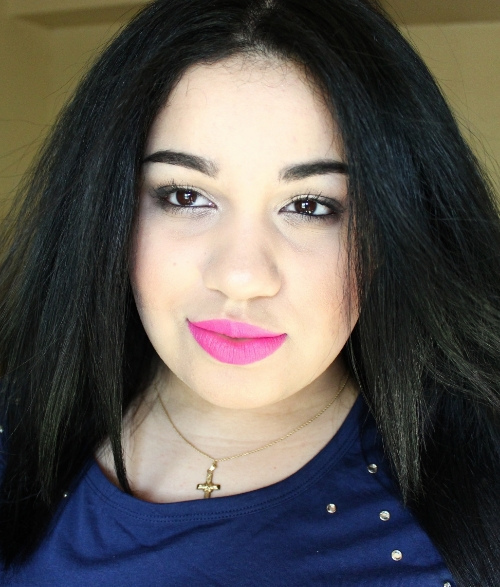 Both lipsticks are highly pigmented, and they contain matte formulas that are just a dream to apply. These effortlessly glide on my lips without tugging on the skin or enhancing dry areas, and as a bonus, the lip colors feel really lightweight and comfortable on. 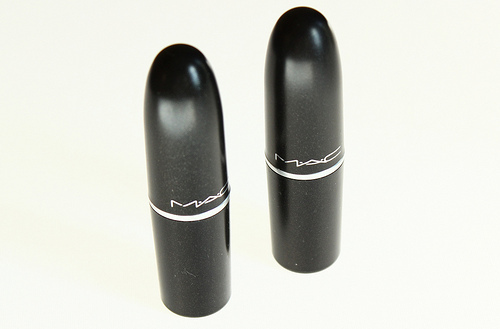 Because of their matte consistency, these lipsticks do pretty well when it comes to lasting power. 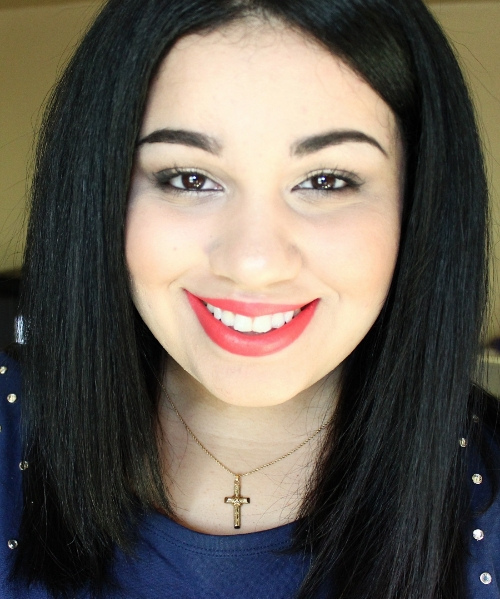 Both lip colors can easily hang on a good few hours, before they fade to a very pretty stain. Overall: I am just so enamored with both Ablaze and Embrace Me. No surprise, really, seeing as I love bright lip colors like these ones. Not only are these shades equally striking, but they are also great for adding a fun and edgy flair to my summer makeup looks. What do you all think of Ablaze and Embrace Me? Which are your favorite summer lip colors? Love both! I have ablaze and heroine! All four colors are gorgeous! So glad you are loving Ablaze :) Heroine is next on my list!